You can see it up here on Signal Mountain: the times are changing. The leaves have turned from orange and red and gold banners into a brown carpet. We’ve already had night temps dip below freezing, so the moths no longer mob the front light. The blue-tailed skinks lurking around the door or skittering up the legs of the porch furniture have vanished. 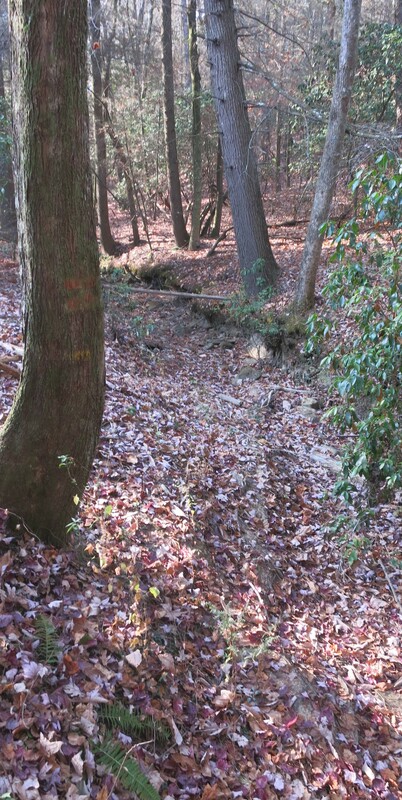 Standifer Creek, behind our house, once burbled with water, but, after a three-month drought, is awash with dead leaves. And change is inherent to this blog. Our staff has waxed and waned and waxed again to the list of bloggers you see on the left side of this page. A shout-out to Brenda, Chrinda, Eve, and Susan, who have been with me from the beginning. Later, we welcomed Ann, Deb, Janet, Jessica, Kate, Stephanie, and Sue. (Claudia Fedarko, Janet Weeks, Andrea Carpenter, and Crystal Klimavicz stayed for a while, then left to pursue other projects.) Fifteen wonderful women writers with whom it has been my pleasure to work. For four years, almost every Wednesday, we at Readers Unbound have brought you book reviews, author interviews, craft articles, literary travel features, and more. Two hundred forty-nine of them. Today’s post, our last for now, makes 250. Maybe it’s the English teacher in me—like the old fire station horse that still snorts and paws the ground when it hears the siren—I actually enjoy reading copy and correcting it for grammar and punctuation, as well as making suggestions to improve content and organization. 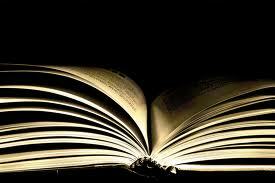 Meanwhile, the blog will remain “active”; that is, you can still visit the archives on the home page to find and read old articles by your favorite bloggers or click on the pages listed in the right hand corner to access live links to book signings or poetry readings or writers’ groups. Check out the Blog Roll to see what your favorite bloggers are doing, too. Change: the one constant. Just look at sand sharing on Georgia’s Jekyll Island. That’s when tides, perhaps abetted by storms or construction, erode the sand on one island, then move it to another. 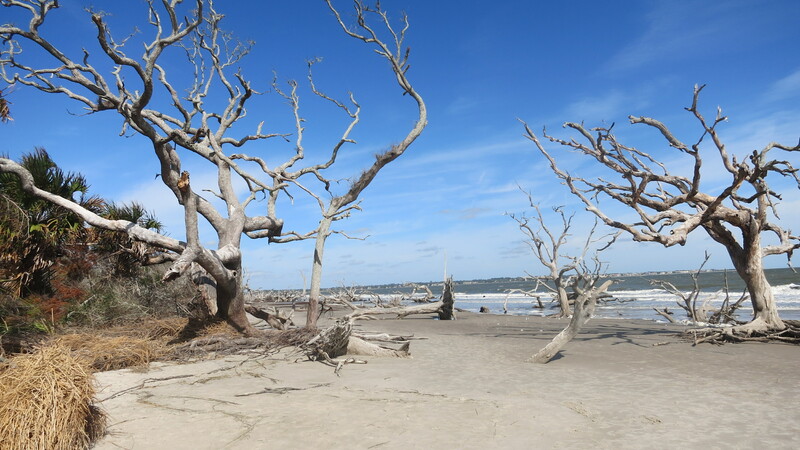 You can see it at work on Driftwood Beach, North Jekyll, which is dotted with dead live oaks whose sandy soil abandoned them for neighboring St. Simons Island. And now, my dear, dear readers, it’s your turn to share: how has life changed you, or how have you actively changed your life? This entry was posted in General, The Writing Life and tagged blogging, Bob Dylan Lyrics, Editing Blogs, First Novel and Second Novel, Georgia's Jekyll Island, Sand Sharing, Writing and Procrastination. Bookmark the permalink. Readers Unbound, you all will be missed. You’ve been my favorite blog, always a good read. As far as change in my life, I’d have to say (not as eloquently as Christina) that writing has introduced me to a new world, new people, new topics, new perspectives, and there’s so much more waiting down this road. Hoping to see all of you along the way. Good to hear from you, Rona. I wish you the very best on your writing adventures! As our fearless leader you have offered us your very best – insisting on the highest standards and supporting our reach to meet them. I wish you great success in your next endeavor. Thanks, Eve. Looking forward to seeing you in January. You should plan a visit up here–when the Smoky Mountains get their name from clouds and mist! I wish you luck in getting your book written. I also hope they get the fires under control soon. Thanks, Deb. We need to chat soon! Thanks, Janet. So glad we’ve gotten to know each other better. Hope to see you in January to celebrate. guidance and support has meant to all of us. Chris, I’m a month late and a dollar short as usual, but I want to tell you how lovely your last post is—so descriptive, felt I was there on the mountain. Enjoyed my time working with you and the others on this blog. Thanks for asking me to join and helping me with my ideas when I got stuck. Good luck with your book, and Merry Christmas to you. We will stay in touch because I’ll need a report on your writing progress. Right back at you, Sue! I hope our paths cross again before too long.